Tracie was the host of CAT CHAT® for 7 years (on the former Martha Stewart channel of SiriusXM satellite radio) and continues her weekly Gracie® Award-winning show DOG TALK® (and Kitties, Too!) on NPR station Peconic Public Broadcasting, after more than 300 shows. Now she is here every Tuesday night – Live! - to answer all your dog & cat questions! Tracie brought the keen eye of her background as an investigative reporter to every aspect of living with a dog, resulting in THE DOG BIBLE: Everything Your Dog Wants You to Know. 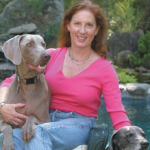 Tracie has established herself as a foremost pet wellness advocate in the United States and her encyclopedic book covers everything from medical issues to training, nutrition and problem solving, winning the hearts and minds of people whose dogs are their family members. Tracie did it again for cat lovers with the all-encompassing THE CAT BIBLE: Everything Your Cat Expects You to Know. Her investigative research exposed a number of startling revelations about creating a safe and interesting life for kitty cats, not the least of which was to avoid the harm of feeding the highly-processed carbohydrates in dry cat food to an “obligate carnivore” - coining the phrase “kitty crack” to describe it. 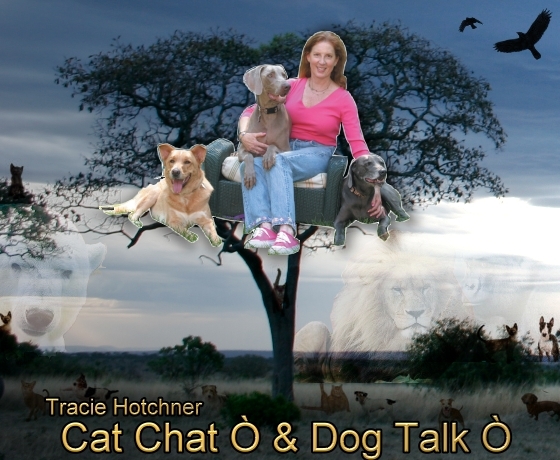 Tracie has 3 weekly radio shows: DOG TALK® (and Kitties, Too!) is a local NPR radio show from Peconic Public Broadcasting (WPPB) in Southampton, New York and Robinhood Radio in Connecticut and the Berkshires. CAT CHAT® & DOG TALK® on BBS Radio Channel 1, Tuesdays 8-10PM East (5-7PM West). HUMANE TALK is a weekly 15-minute podcast of a conversation about issues affecting animals of every species around the world with Wayne Pacelle, the CEO of the HSUS. Tracie and the dogsTracie Hotchner became a best-selling author years ago when she wrote PREGNANCY & CHILDBIRTH, exposing misunderstood issues about conception and birth. The result was an invitation to the Oprah show and the Today Show and a devoted following who bought one million copies of the book. Tracie lives in Vermont where she and her husband have 13 acres for their three adopted dogs – two big Weimaraners, Scooby Doo and Teddy – and a Border Collie mix, Jazzy. To Tracie’s dismay, her dog pack makes her home unsafe for cats, but the newest additions to the family are retired breeding Jennies, mother and daughter mini-donkeys, Mona & Lisa. Tracie wants it clear that she does not have plans at this time to write THE DONKEY BIBLE: Everything Your Donkeys Assume You Already Know.